Most acne pimples, including blackheads, occur when pores become clogged with dirt, dead skin cells and sebum, your skin's natural oil. Tomatoes, which are high in vitamin C, vitamin A and citric acid, are a natural blackhead remedy. They're much less costly than commercial acne formulations and may be less irritating to the skin. Tomatoes can be used alone or mixed with avocado, lemon or lime juice to create a facial mask. If you're out of fresh tomatoes, tomato paste can also be applied as a mask. Slice both the tomato and the lime or lemon in half. Use a hand juicer to collect the juice from half the lemon or lime. Pour the juice into a bowl and discard any seeds. Use the juicer to separate the tomato juice from the pulp. Hold the juicer over the bowl and allow the tomato juice to mix with the lime juice. 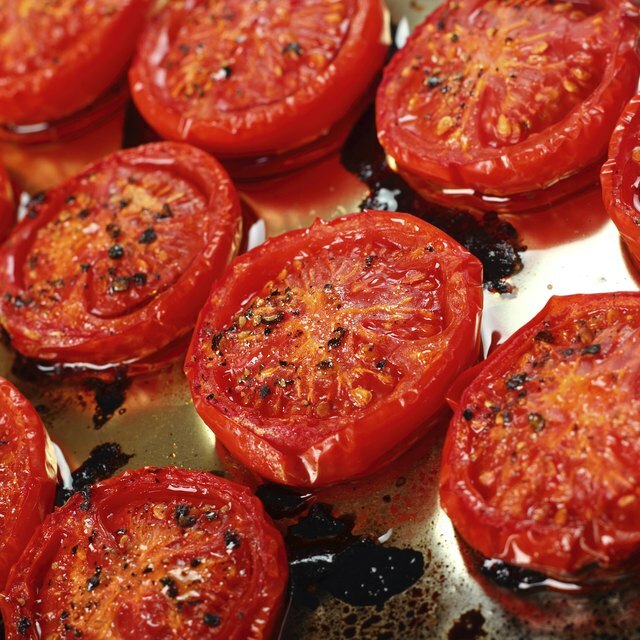 Squeeze both halves of the tomato and save the juice mixture to use as an astringent later. You may wish to pour it into a small glass bottle and add a little water to dilute it, but it can also be used full-strength to tone skin after cleansing. Scoop the tomato pulp from the juicer and into the second bowl. Use a spoon if necessary to scrape the pulp from the skins. Lie back and spread the tomato pulp over your face, concentrating around the edges of your nose, where blackheads tend to accumulate. Leave the pulp on for 15 minutes. Wash your face with warm water and a mild soap and pat dry.